Scavenger hunts are always a good time, as they combine the thrill of a timed event with the, um, thrill of a treasure hunt. If your kids want to do a scavenger hunt as part of upcoming birthday festivities, or you need to come up with new “boredom busters,” check out the following options and have a super-happy fun time! Create a scavenger hunt that will take place at a nearby park. Put a few easy items on the list, such as fallen leaves from a particular tree, as well as more challenging options, such as pictures of specific flowers that bloom in one section of the park only. Outdoor scavenger hunts are always a good time, and one at your local park emphasizes that picking up fallen items from nature is okay (such as leaves), but plucking them isn’t (such as flowers and plants). Get local businesses in on the scavenger hunt action and create a list around them. For example, the list could include a takeout menu from a favorite Chinese restaurant, a paper bag from a local convenience store, a coupon from a nearby retail store, etc. There’s plenty of fun opportunities with this one, and it also shows kids where friendly business owners work should they get lost, need help, etc. Don’t get discouraged if your scavenger hunt has to happen indoors, as your home features plenty of list options. Have kids find something from the attic, basement, bathroom, kitchen, “man cave,” bedroom….you get the idea. Don’t want your kids coming home with piles of scavenger hunt loot? Turn it into a photo-based game! Most of today’s younglings have cell phones, so have them take pictures of various items rather than bringing them back to your house. They’ll have just as much fun, and might even realize their talent for photography. Make your scavenger hunt all about people! Create a list that asks kids to find individuals with glasses, facial hair, hats, shorts, babies, books, people wearing certain color clothing, looking at their phones, and more. Get as creative as you want! 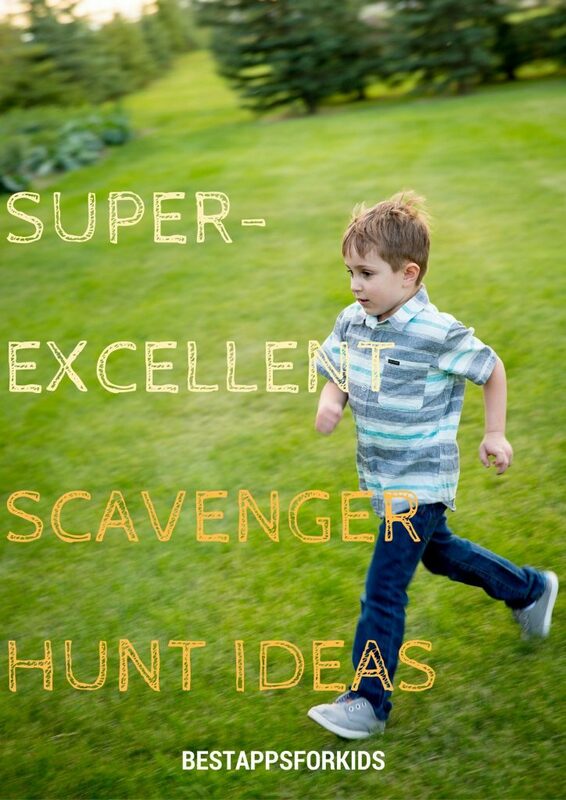 What are your favorite creative scavenger hunt ideas?